The Ferrara family runs three farms: the first in Canosa di Puglia (in the Bari province), a second one in Manfredonia (in the Foggia province) and the last in Città S. Angelo (in the Pescara province). The farm of Canosa belongs to the Ferrara family since 1700 and the Manfredonia’s one since 1900. The farms span 512 hectares with 99 hectares of olive groves and have several kinds of olive varieties such as: Coratina, Leccino, Dritta, Peranzana. 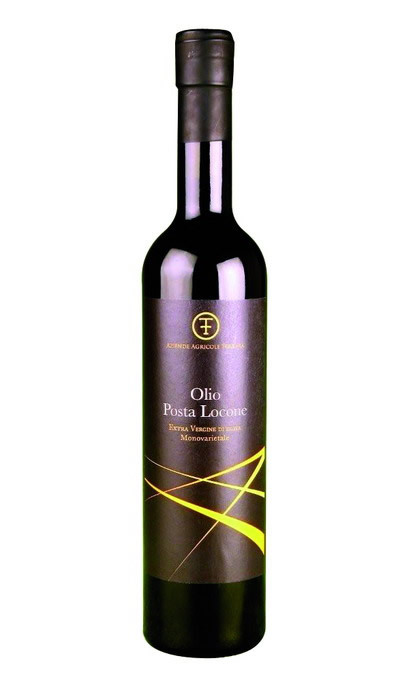 The oils produced are two: Posta Locone, that is a Coratina single variety oil and Fontana Rosa made by Coratina, Leccino, Peranzana. Both oils have won several awards and are included in many oil guides. An oil with yellow colour and green shades. Its fresh fruity has notes of pepper and nuts. Its taste confirms his character with a strong bitterness. Spiciness is well balanced. Legumes starters, octopus salads, marinated of tuna, spelt soups, shellfish main course, fishes, grilled meats, cheese.